Export Quality!!! Sealed for Freshness 1 Box Contains 48-packets. 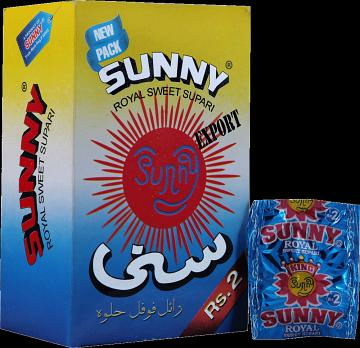 Ingredients: Supari - Saccharine (3%), Menthol and Artificial Flavour. Shipping Cost $5.99 Buy multiple items online from Mahavir Wholesale to SAVE on shipping. This item in Mouth Freshneer category was first added to our catalog on 01-26-2019. 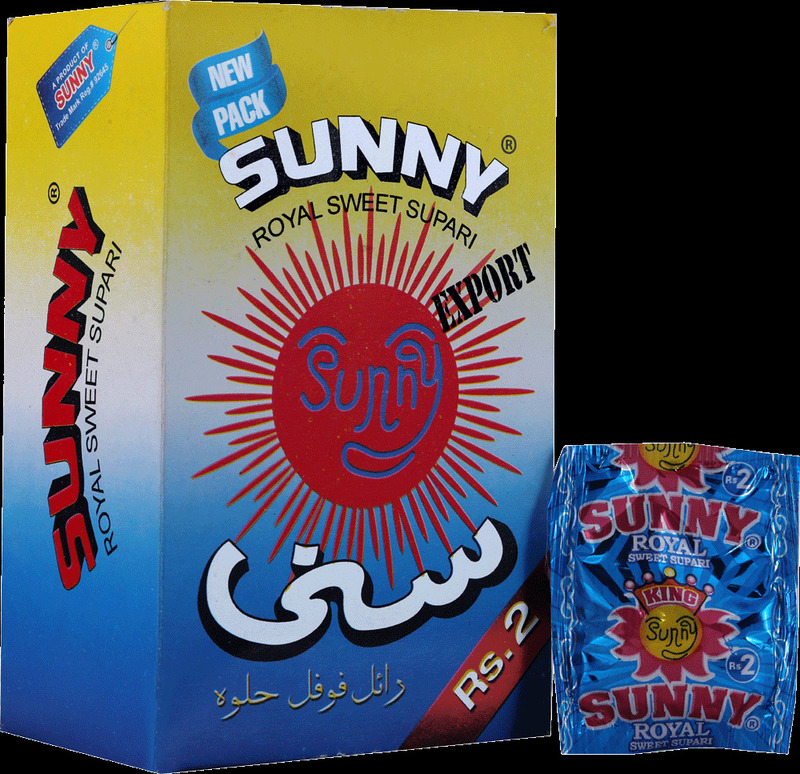 Buy 24 Packets Sunny Royal Sweet Supari Box Sweet Betel Nuts, sold & shipped by Mahavir Wholesale where you can shop online for Grocery Products of India - Patanjali, Chai, Henna & Beauty Items. This Mukhwas Mouth Freshener collection has been tagged as Mukhwas Mouth Freshener, Beetle Nut, Supari After Food Mint.